These are examples of sizes and pricing. 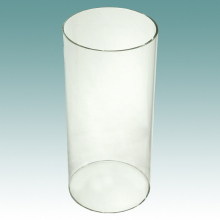 Cylinders can be made in clear or frosted glass. 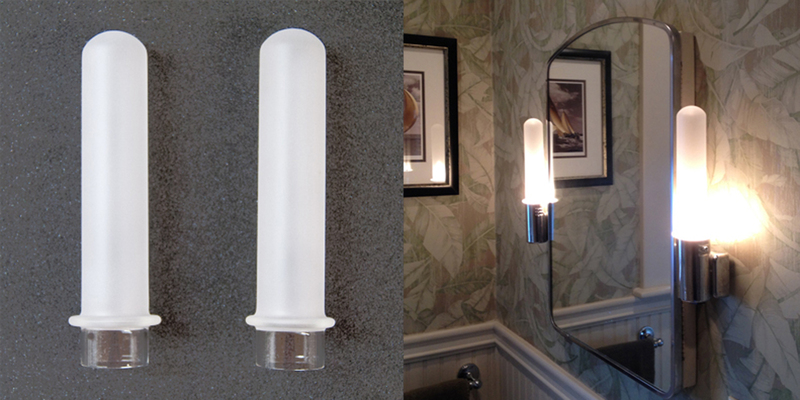 Custom cylinders can be made with a minimum of 2 pieces. 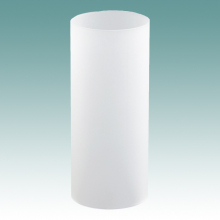 #5810 S - Clear Cylinder 1 1/2" x 10 3/8"
#5822 S - Clear Cylinder 2" x 7"
#5816 S - Frosted Cylinder 2" x 6"
#5828 S - Clear Cylinder 2 1/4" x 8"
#5813 S - Frosted Cylinder 2 1/4" x 5 1/2"
#5814 S - Frosted Cylinder 2 1/4" x 8" With 3 Holes 1/4"
#5870 S - Frosted Cylinder 2 1/2" x 6"
#5960 S - Frosted Cylinder 4" x 8"
#5909 S - Clear Cylinder 5" X 6"
#5911 S - Clear Cylinder 5" X 8"
#5933 S - Clear Cylinder 12 1/2" x 8"